We all need a little reminder to do things sometimes. We live in a world filled with distraction and various shiny things that often lead us off course of whatever it is we’re trying to do. Thus, setting reminders cannot only be productive but a savior in some situations. On Android, there are a ton of ways to create reminders and we took a look at our favorite reminder app for Android, available by the name, Remember Reminder. Remember Reminder is an app that just does reminders. You simply open the app, add whatever you have to do, and the time and date, and then you’re done. The app organizes your reminders by date. You can also have them repeat hourly, daily, monthly, or even by the minute. 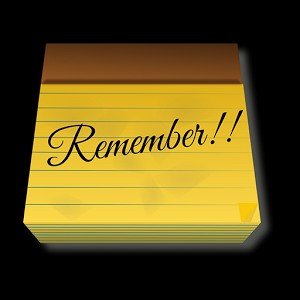 Now there is no need to remember all those things that you have to do because Remember Reminder will do that for you. Stay on track with school, work or personal deadlines by entering them into the Reminder app. Create reminders for when the homework or other school assignments are due. Set reminders for all your meetings each week and sit back and let Reminder notify you when you need to attend. All those daily tasks can stack up. Assign a date and time to all your tasks and be on your way to organizing your life! Set alarms for each birthday so you never forget to say happy birthday. Add notes to your reminder like names, phone numbers, etc. so you can remember that about what this reminder is. Have this app free for your Android from the Direct Download Link Present at the end of this review and forget the rest.